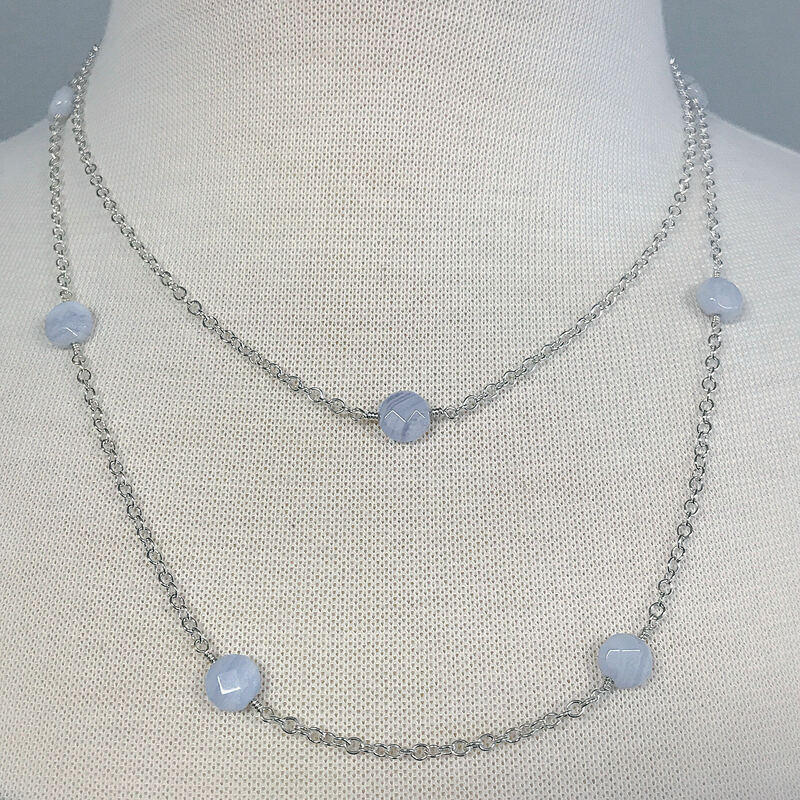 This delicate sterling silver cable chain necklace features a single faceted blue lace agate bead. 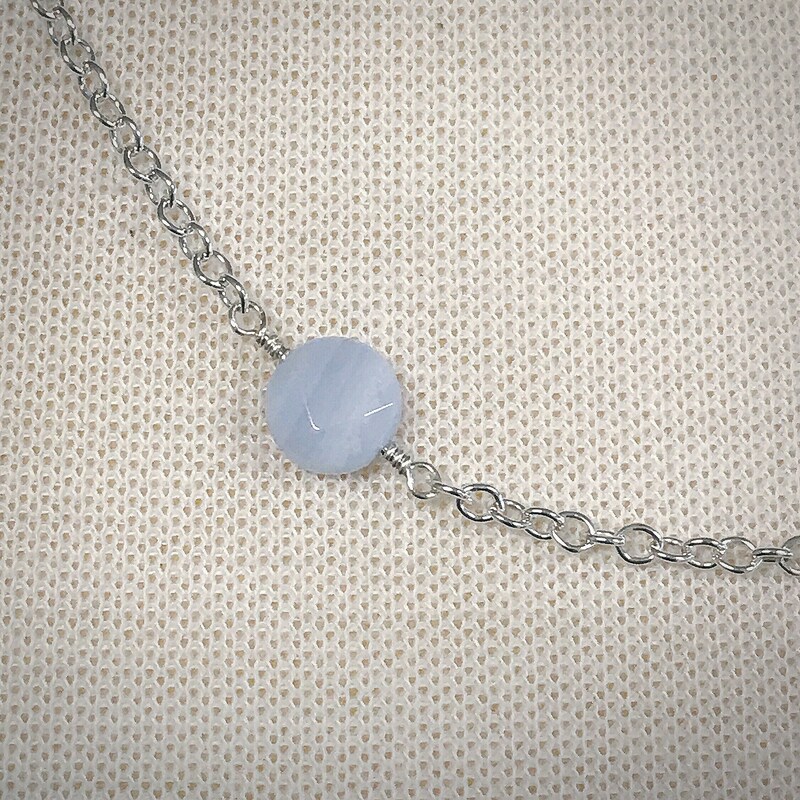 The coin shaped bead measures 8mm and is hand wrapped with sterling silver wire. The clasp is a sterling silver lobster claw. 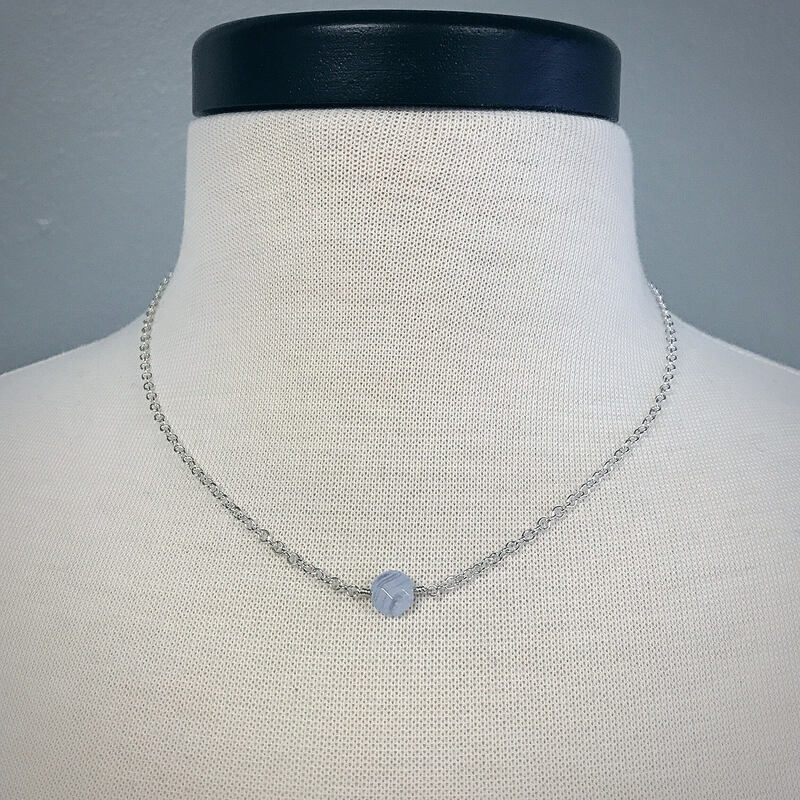 Wear alone or pair it with our six bead blue lace agate necklace for a multi strand look. 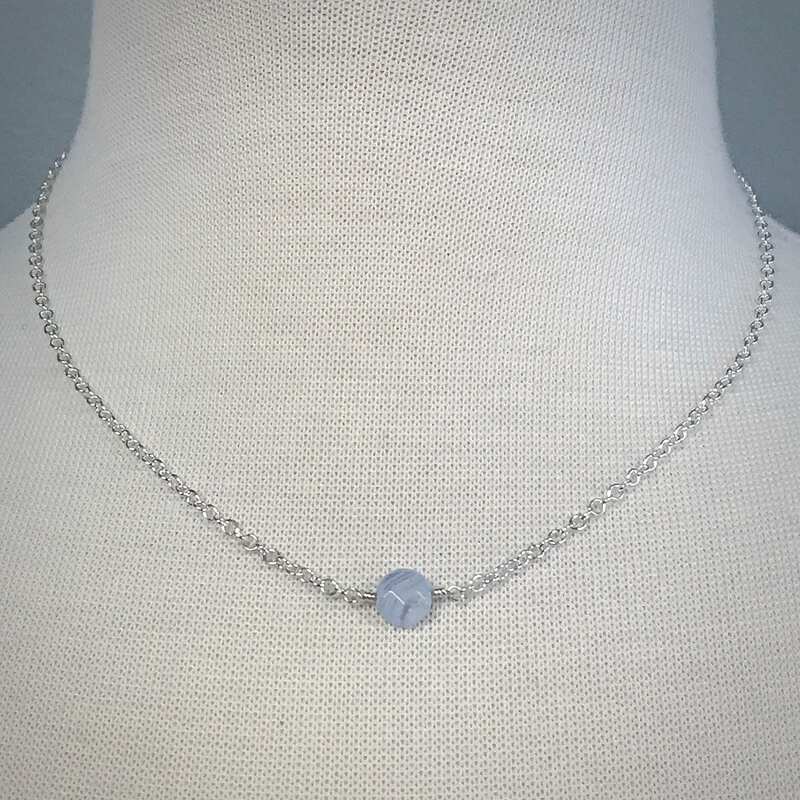 This dainty necklace measures 18 inches in length and makes a wonderful gift for teens or adults.